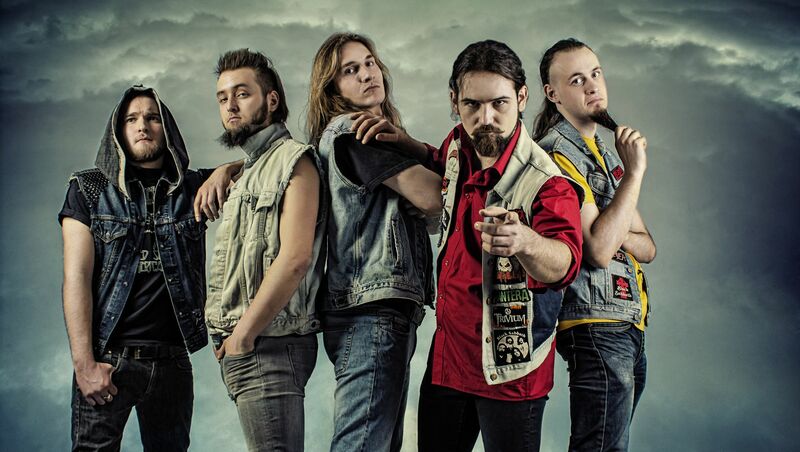 One more Thrash Metal band from Poland! And these Polishes doesn’t disappoint again! ThermiT was founded in Poznań in 2009. After a demo in 2012 named Demo’n’Beer, the band released the EP Encephalopathy. Pretty long (fortunately) for na EP, clocking over thirty six minutes! It’s stated on their official biography that the “band has won a few Polish festivals and was awarded the main prizes many times, including the best instrumentalists awards and best vocalist awards.” Well, I can completely see that happening, as their music is indeed very qualitative, with a very heavy metal approach. Don’t be fooled, ThermiT doesn’t provide another cheap imitator of old bands, their sound is unique, untraditional, non-standard, with vocals that range from pure heavy metal screams to thrash ones, turning the music into something very exciting, that you want to sing along while headbanging. This is indeed a very difficult release to describe, because sometimes it feels chaotic, sometimes completely melodic, powerful or aggressive, but never, ever, boring. It’s fast, it’s catchy, it’s the perfect fusion of thrash and heavy. The production is great, very clear and the instrumentalists are very skilled. Outstanding musicianship. I’m listening again to the album and… there are things that you must hear, describing would be too shallow. I could go on praising more and more this release for pages, but it would be a waste of time… and I don’t want to get into technical details, I just want to let you know, if you like Thrash Metal, there’s a huge chance that you will LOVE Encephalopathy. It’s indeed one fine EP!